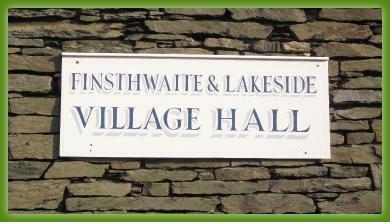 A beautiful traditional Lakeland building with 2 rooms, which was once the village school. Today it is fully modernised and developed for community use with central heating, large cooker and seating for around 40 people. The hall is managed as a resource for the local community and is available for hire for meetings, training courses, celebrations, church events and for overnight accommodation for well organised groups. To enquire about availability for a private event or group accommodation booking please contact us via the Contact Us form. To book the hall for a village community event please call 015395 31410 between the hours of 9am and 7pm or use the Contact Us form . To find the location of the village hall using google or sat nav - use LA12 8BJ to get into the centre of the village then turn down towards the church and just past that the Hall.